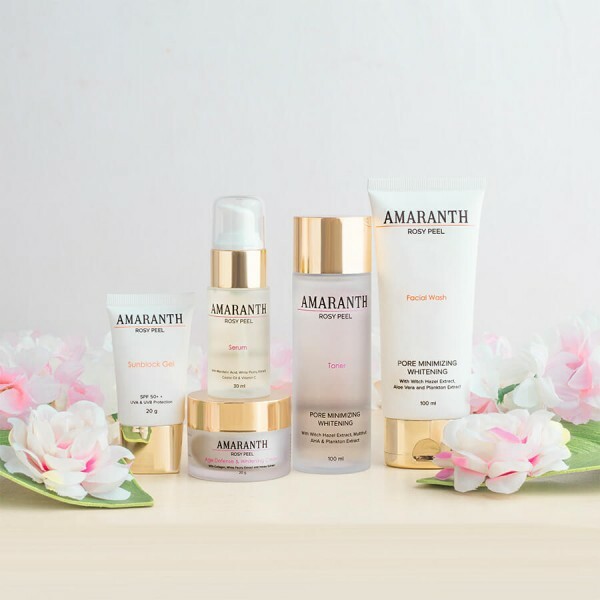 Presenting a world class ultimate beauty regimen brought to you by Amaranth Beauty. Cleanse, exfoliate, moisturize and protect your face with this set that reduces appearance of wrinkles, age spots, dark spots, melasma, etc. The products are especially formulated to reach deep down your skin that will make you experience mild micropeeling and tingling sensation. Restore and revitalize your face as you start your day until you fall deep into your sleep with this 5 in 1 beauty. The products are especially formulated to reach deep down your skin that will make you experience mild micropeeling and tingling sensation. Amaranth Rosy Peel Sunblock and Pouch. 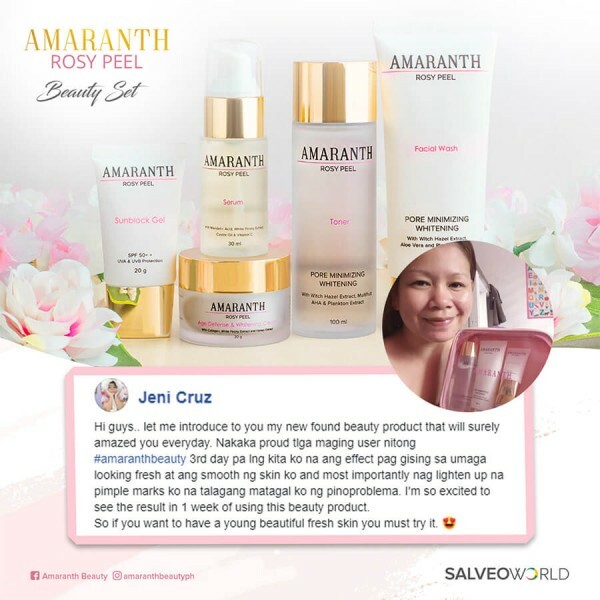 How to use Amaranth Rosy Peel Beauty Set? Lather product on wet skin. Massage in a gentle circular motion. Rinse thoroughly. Use a cotton pad and apply 2 to 3 small drops. Wipe your face in upward motion, and avoid eye area. Use 2 to 3 pumps into your finger. Dab product to your damp face. Spread it around all over your face in upward motion.